The Toronto Maple Leafs think the Leafs by Snoop trademark too closely resembles their own branding and will “confuse” people. There’s hardly a more iconic figure in the canna-game than Snoop Dogg. But it’s partly because of an icon that the rapper-turned-weed mogul is currently facing legal issues from. It all boils down to a trademark dispute with the Toronto Maple Leafs, a flagship franchise of the National Hockey League. 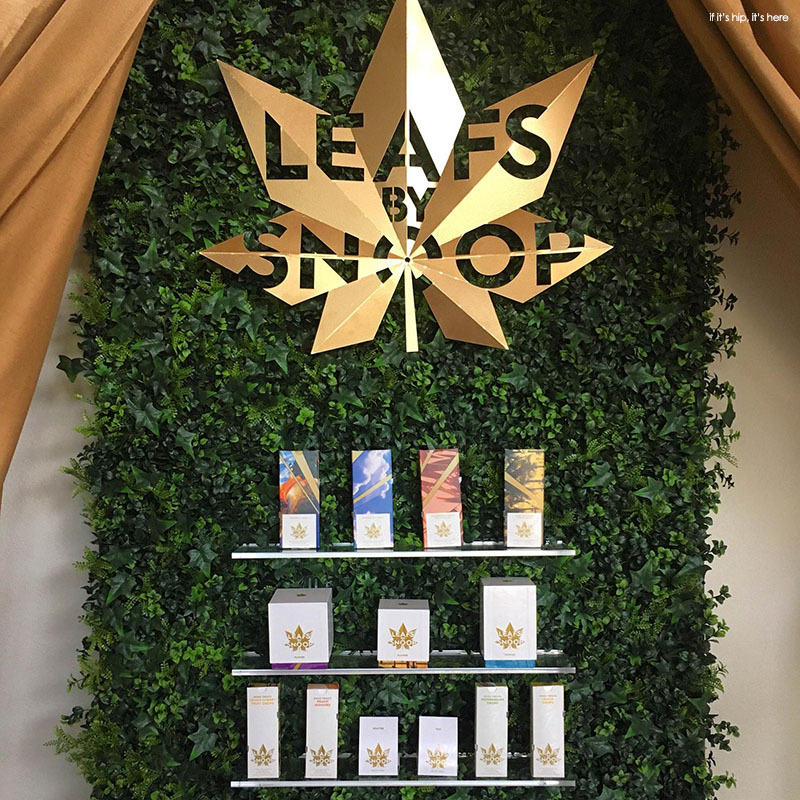 The team says Snoop’s signature cannabis brand, Leafs By Snoop, infringes on the trademark and logo of the hockey team. In fact, the Maple Leafs organization has been dogging Snoop Dogg over his cannabis brand’s logo since 2016. That was when the hockey franchise first filed its opposition against the Doggfather. At the time, the NHL team’s parent company, Maple Leaf Sports & Entertainment (MLSE) had to ask the U.S. trademark office for more time to detail exactly what it opposed. Snoop Dogg didn’t actually file for a trademark for his cannabis brand until July 2018. Then, in December, MLSE finally filed the legal paperwork challenging Snoop’s trademark. Intellectual property law is intricate and complicated, making it difficult to prove when one company is actually infringing on the IP rights of another. But the Maple Leafs’ case against Leafs By Snoop makes several arguments–whether a judge finds them convincing is a different matter. 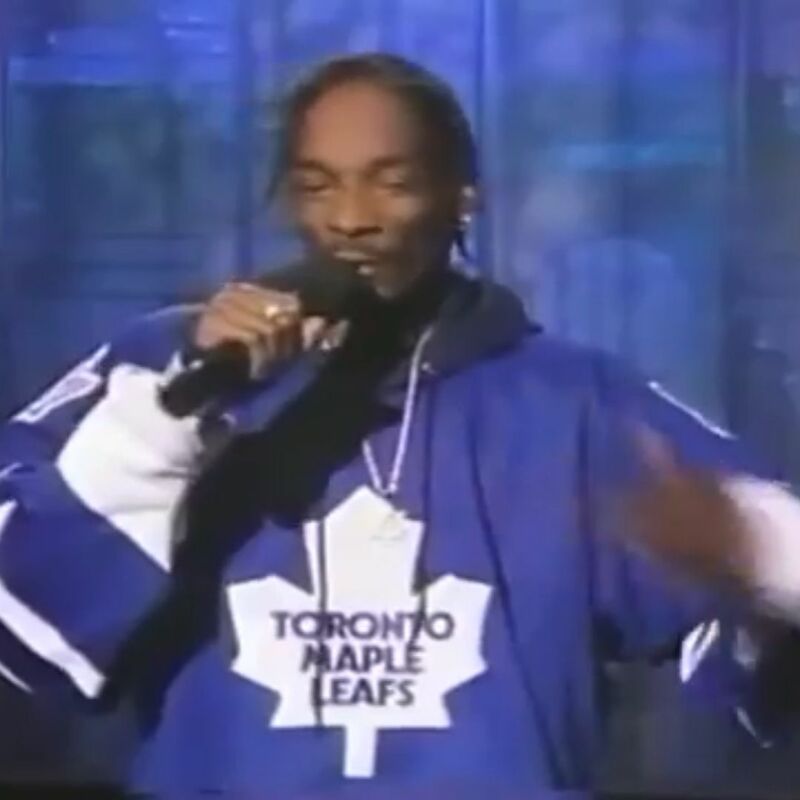 In the first place, the Toronto Maple Leafs have a problem with the way Snoop’s brand spells “leafs.” In standard English, of course, the plural of leaf is leaves. So the Maple Leafs organization say that’s strike one against Snoop’s brand. “The LEAFS mark reflects a highly unusual and distinctive spelling,” the organization wrote in its filing. Then, there’s the issue of the logo itself. 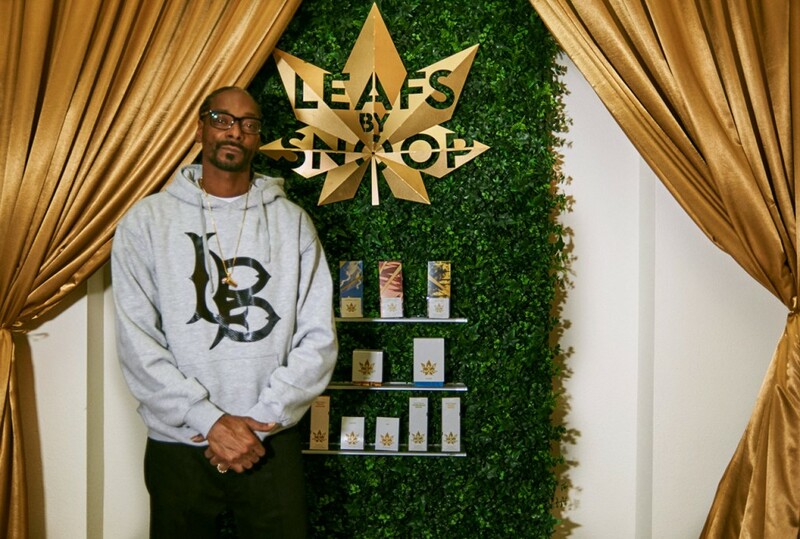 Leafs by Snoop uses a logo featuring white text over a green, 7-point leaf design. Any marijuana consumer would instantly recognize it as an homage to a cannabis plant leaf. The Toronto Maple Leafs also use white text over a broad-leaf design. But that leaf, taking a cue from the flag of Canada, is a maple leaf, not a cannabis leaf. Are Hockey Fans Really that Confused? The Maple Leafs insist that the similarities in spelling and appearance of the two trademarks “could lead to confusion.” The hockey franchise also claimed in its legal filing that Snoop’s business was infringing on rights it hand long-established. “The Toronto Maple Leafs hockey club has been an iconic member of the NHL since the league’s inception in 1917.” The filing goes on to mention the team’s “large fan base” in the U.S. and Canada. If there’s anything Canadians love more than cannabis & hip hop, it’s hockey!